Ancient Peru was the seat of several prominent Andean civilizations, most notably that of the Incas. Currently, Peru is a country where 44 percent of its people live below the poverty line and over 70 percent of the rural population live in homes with dirt floors. 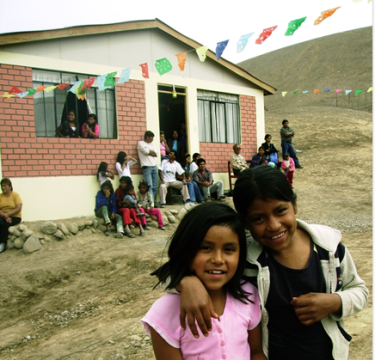 The Fuller Center Peru is at work in the small migrant community of La Florida, which is roughly 2 1/2 hours south of Lima. It falls within one of the most arid regions on earth, receiving little or no rainfall. Agriculture is maintained through a system of irrigation canals that bring water from the higher elevations of the Andes or from artesian wells sunk below the desert. As of June 2017, 85 homes have been completed. They are typically 650 square feet and built on families’ own land. For many of these families, their Fuller Center home is the first permanent dwelling they have ever lived in and owned. Families perform sweat equity and sign an affordable, no-profit, no-interest mortgage agreement. 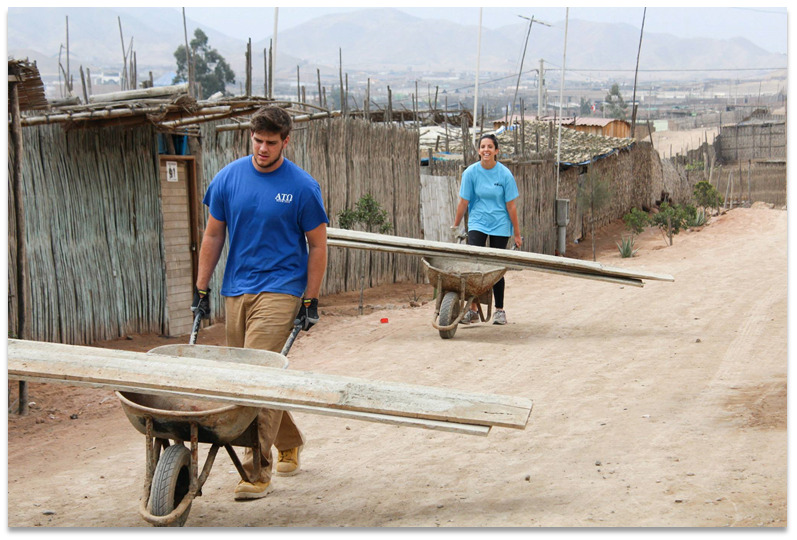 Getting involved – There are several ways that you can get involved: donate to support this specific partner, volunteer on one of our Peru Global Builders teams, which you can learn more about below, or join a trip as a virtual volunteer, choosing to donate your travel costs instead of making the trip. We make virtual volunteering fun — see virtual volunteering explained here! In a desperate search for work, families came to this area from other parts of Peru, particularly the Andes. They typically work very hard as day laborers, but at the pay rate are unable to earn enough for decent homes. These families also cannot obtain normal credit opportunities because of their low incomes and lack of collateral. As a result, they live in structures made of reed panels. These houses are flimsy and lack privacy, with only about 10 percent of the dwellings in the area substantial enough to be considered permanent. We are helping move families from homes of woven sticks to homes of bricks. The area is susceptible to earthquakes, so the homes are built to be earthquake-resistant. Each trip to Peru will be with a group of mission-minded volunteers – typically 8-20 total – who want to experience the world, meet new people, and make a difference. No skills required. Trips last 1-2 weeks and include sightseeing. Our country leader, Zenon Colque, loves to show off his country! The volunteer work for the new homes being constructed involves making and pouring lots of rebar, concrete, digging holes, moving construction materials, piling brick and more. We do not require Spanish speakers on the teams, but they are helpful. Our project leader speaks fluent English, but if or when he is away, there may be no other English speakers present. Local public vans will be provided to transport your team to and from the work-site. Vans will be hired to drive teams from the airport to the bus station. Volunteers will stay in the town of San Vicente. The housing includes electricity, running water, and bathroom facilities. Internet access can be found near the lodging as needed, but it is not yet available in the village near the work-site. Laundry is available. Mosquito nets are not needed. You will want to bring toiletries and towels. Bedding is optional. It is helpful to have long pants or Bermudas for work as well as sturdy shoes. You may want to bring basic first aid supplies, sun screen, bug repellent for gnats, Frisbees, balls. Any kind of small hand tools could be helpful to bring, like tape measures with both inches and metric. One day of the week will typically be for rest or tourism. 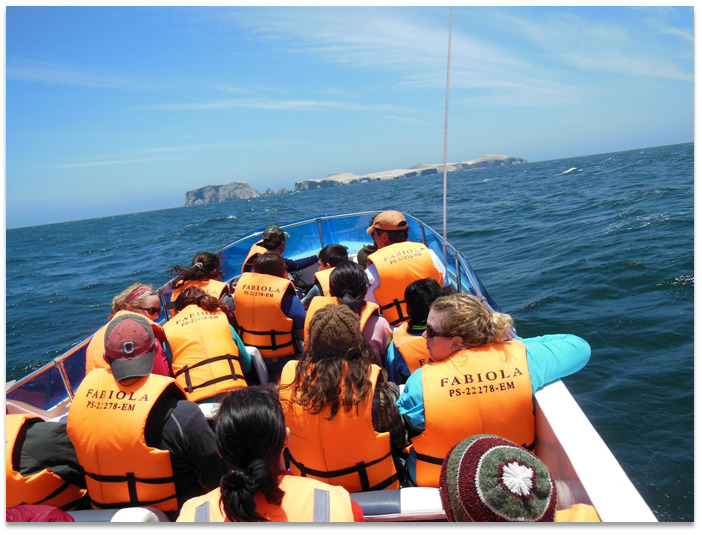 Local sight-seeing opportunities include horseback riding, white water rafting, ancient sites (Inca ruins), local open-air markets, cultural folk music and dance program and Nazca Lines.